An informative, fascinating tour of five hundred years of African-American history is divided into seven sections, including Great Migrations, Civil Rights and Politics, Military, and Culture and Religion, and is accompanied by photographs, drawings, etchings, and other art forms portraying black history. Original. 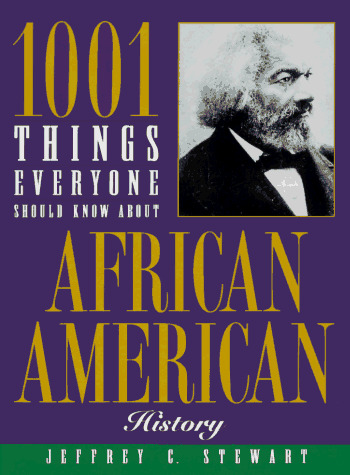 e go to get a comprehensive and entertaining account of the most significant events, individuals and social processes of African-American history? 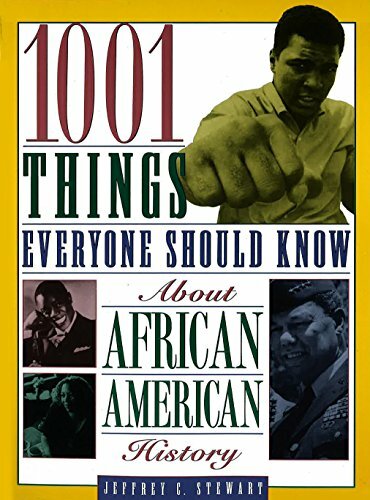 Fear not, because 1001 Things Everyone Should Know About African-American History is history at your fingertips-in a concise, accessible, easily-read format. 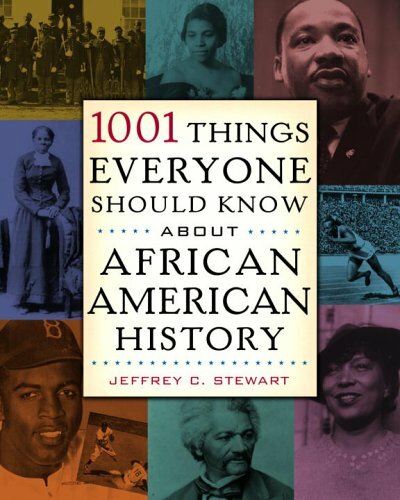 Jeffrey C. Stewart, Associate Professor of History at George Mason University, takes the reader on an all-encompassing journey through the entirety of African-American history that is pithy, provocative, and encyclopedic in scope. Here are all the people, terms, ideas, events, and social processes that make African-American history such a fascinating and inspiring subject.